When Will There Be Words? How Do We Organise The Left? 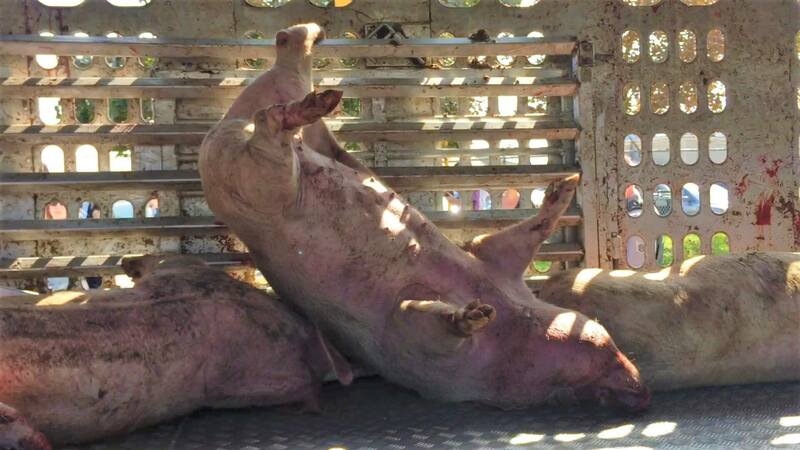 A few days ago, a transport lorry full of pigs overturned in front of ‘Fearmans Pork’ slaughterhouse in Ontario. Some died but most of them, while distressed, were ‘saved’ which, in this instance, meant being herded and marched to the slaughterhouse. Around 40 pigs were too injured and apparently ‘could not be processed’ so after being made to wait for hours, they were barbarically killed (see this informative video by Bite Size Vegan). This happened despite the fact that there were activists there begging for the animals to be allowed to be transported to a sanctuary, where there would have been able to heal and subsequently enjoy their life. There was literally a guy at the scene who owns a sanctuary and Fearmans refused to show mercy. While this is a despairing story, it’s important to realise that the pigs that endured this ultimately aren’t worse off than the pigs on all the lorries we haven’t seen overturn. No revision of animal welfare legislation will eradicate animal suffering while animals are commodified by human beings, nor will it address the warped sense of entitlement possessed by humans who think it is their place to own sentient beings that have interests of their own. The reason that I think it’s important to comment on this story is because it is hopefully enough of an anomaly (albeit a superficial one) to turn the heads of those who pay for the exploitation of these animals; those who consider themselves moral people; those who couldn’t bring themselves to hurt an animal. This should be viewed as a microcosm of what is wrong with our relationship with non-human animals. The barbarism shown by Fearmans Pork is ubiquitous within industries of animal use and is inevitable as long as we continue to commodify sentient beings. Why not consider spending your money on something else? It’s not difficult. This entry was posted in Uncategorized on October 9, 2016 by patrickshand.